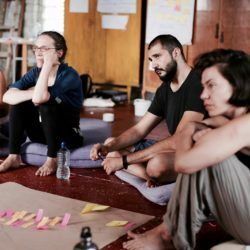 Bringing activists and organisers together from across Europe, Ulex is a space where transversal connections are made, where experience is shared, and learning is brought alive. It’s a place for profound reflection and inquiry; a place to find solidarity and to honour diversity; a place to draw on deep personal resources whilst making new connections to empower collective agency. Residential trainings support truly transformative learning. The opportunity to step back from the on-going demands of working and organising, in this kind of remote rural setting, enables us to gain perspective on our tendencies and ways of thinking. It allows for deeper reflection which in turn leads to deeper learning. This leads to deeper transformation for both ourselves and our organisations which can have an even deeper impact if you can set the auto-response and clear the decks for the time you are here. In our everyday busy working lives it almost always feels like there is too much to do to take time for deeper learning and reflection, and yet this is one of the most significant ways in which we can really gain time and augment our effectiveness. We ask all participants on our trainings to, if possible, switch the phone off and keep the laptop air locked – in order to gain renewed and vital perspectives from an immersive learning experience. As well as connecting more deeply with ourselves, residential trainings enable us to make stronger connections with others. The problems we face are interconnected. One of the great challenges is to find systemic solutions to systemic problems. In our globalised world social movements and changemakers need increased connections: across borders; across issues; across constituencies and concerns. Creating and strengthening connections enhances impact and resilience. Sharing experience and learning increases movement responsiveness and vitality. Living temporarily with other dedicated practitioners from diverse social movements enriches the opportunity for such sharing and learning. That’s why Ulex brings people together from across Europe from diverse groups and movements to learn and build solidarity together. This time in Europe seems to call especially for stronger pan-European connectivity across social movements. We need this to meaningfully challenge the balance of power and distributive injustice; to resist deterioration into inward looking, intolerant and xenophobic politics; to channel discontent and disenfranchisement towards social justice and ecological integrity. Learning, inquiring, and reflecting together supports the depth of connection needed to underpin later collaboration, to weather the inevitable challenges of organising together, and to build effective long term collective agency. One of the most powerful and transformative dimensions of residential trainings comes from the experience of living as a temporary learning community. 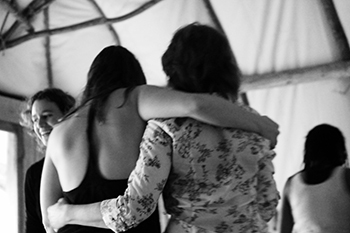 It offers a chance to explore the collective embodiment of the values we are working towards. Empowerment, inspiration and learning all come from bringing to life the values we share. Unforgettable learning can be found in supportively meeting the challenges involved in embodying them in our own lives. Social and systemic change is a marathon, not a sprint. Social movements grow gradually, over generations. As an institution which can help to harvest learning from within our movements, and that is building the resources to share experience both widely and inter-generationally, we seek to add substantial long term capacity to European social movements. 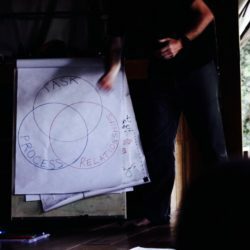 A centre for social movement training enables the show casing of best practice, the support of innovation, and the cross-pollination of approaches – all of which nurture the evolution of effective and high quality training. Managed on a non-profit basis, the residential centre means we can enable access to high quality training for many individuals and organisations in the sector that would otherwise be economically excluded. Income is ploughed back into improvements in the centre and programme development, creating a growing resource for social movements for the long haul.